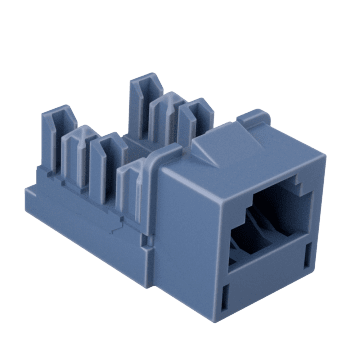 Also known as keystone modules, these jacks snap into a compatible port on a wall plate, jack housing, or patch panel to create a connection point for plugging in cables. 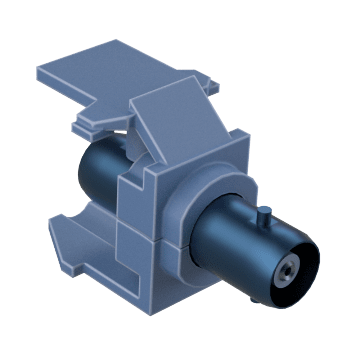 They can be replaced when broken or exchanged with a different style of jack to suit your installation. 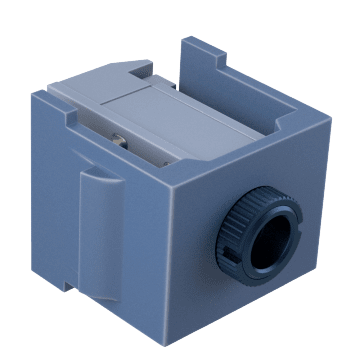 Connect coaxial cable with an F-type connector to these keystone jacks. 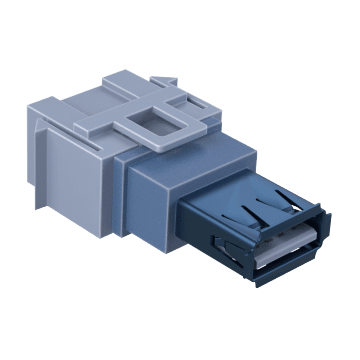 Create a connection point for RCA cables using these keystone jacks. Fill in empty ports on your voice and data housings to keep dust and dirt out and maintain an attractive appearance. 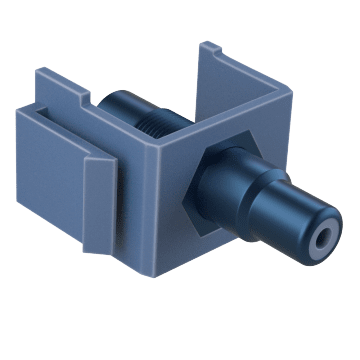 These keystone jacks provide a connection point for coaxial cables with a BNC connector. 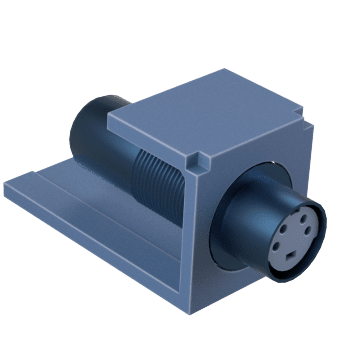 Use these 3.5 mm stereo keystone jacks to create a connection point for stereo audio cables. 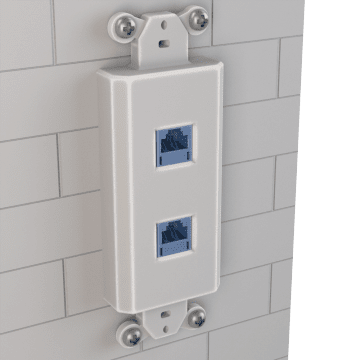 Hook up Ethernet cable to these keystone jacks. Plug S-video cable into these keystone jacks. 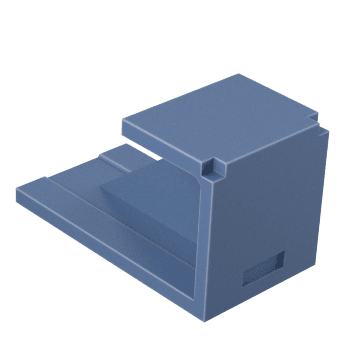 Provide a connection point for USB cable using these keystone jacks. 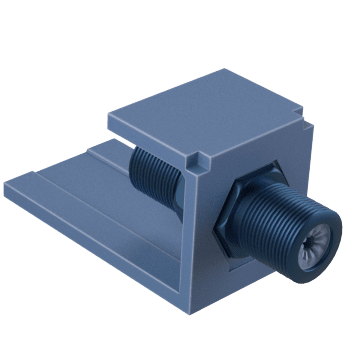 Install these keystone jacks to provide a connection point for RJ11 telephone cable. 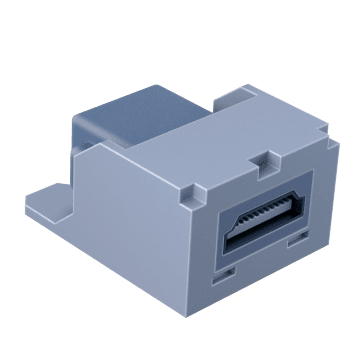 Choose these keystone jacks to create a connection point for HDMI cable.